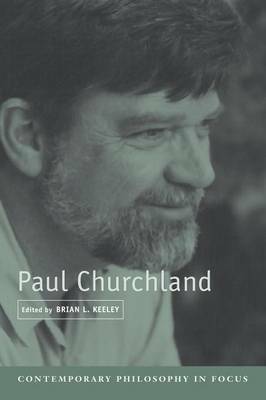 For over three decades, Paul Churchland has been a provocative and controversial philosopher of mind and of science. He is most famous as an advocate of 'eliminative materialism', whereby he suggests that our commonsense understanding of our own minds is radically defective and that the science of brain demonstrates this (just as an understanding of physics reveals that our commonsense understanding of a flat and motionless earth is similarly false). This collection offers an introduction to Churchland's work, as well as a critique of some of his most famous philosophical positions. Including contributions by both established and promising young philosophers, it is intended to complement the growing literature on Churchland, focusing on his contributions in isolation from those of his wife and philosophical partner, Patricia Churchland, as well as on his contributions to philosophy as distinguished from those to Cognitive Science.